Greetings from a sweltering North Idaho! It’s a good time to stay inside and work on indoor projects, one of which is this summer update. Idaho, North, Coolin. 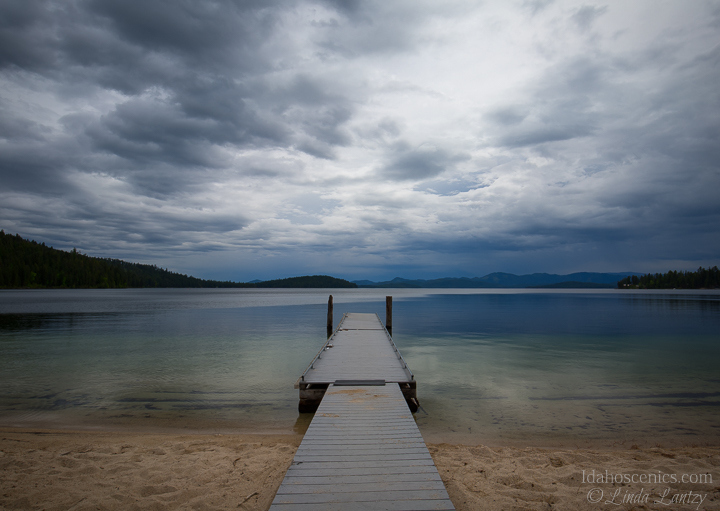 A dock extends over calm water under stormy skies at the Indian Creek Unit of Priest Lake State Park. Idaho,, North Central, Winchester. 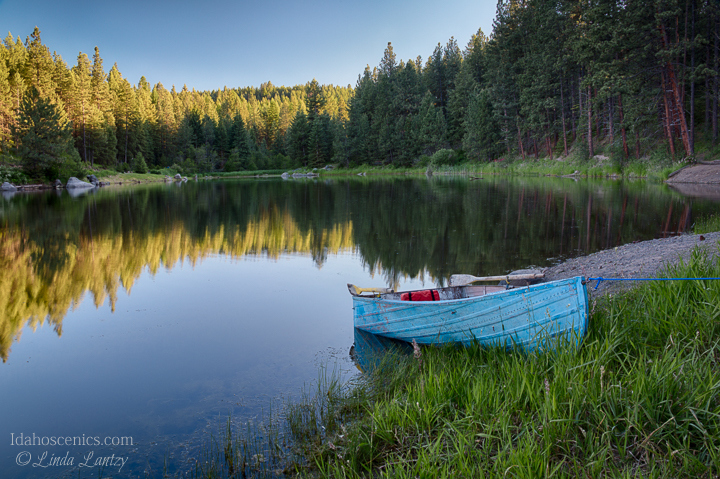 A rowboat moored to the shore of Winchester Lake in Winchester Lake State Park in early summer. Idaho, West Central, McCall. The North Fork of the Payette River under evening skies on a summer evening as viewed from the North Unit of Ponderosa State Park. I’ve continued working on my Idaho State Parks artist residency, with recent visits to Priest Lake State Park, where I witnessed an amazing sunset and discovered a “new to me” waterfall. At Winchester Lake State Park I found this quaint little rowboat and enjoyed the fragrance of a park full of wild roses. 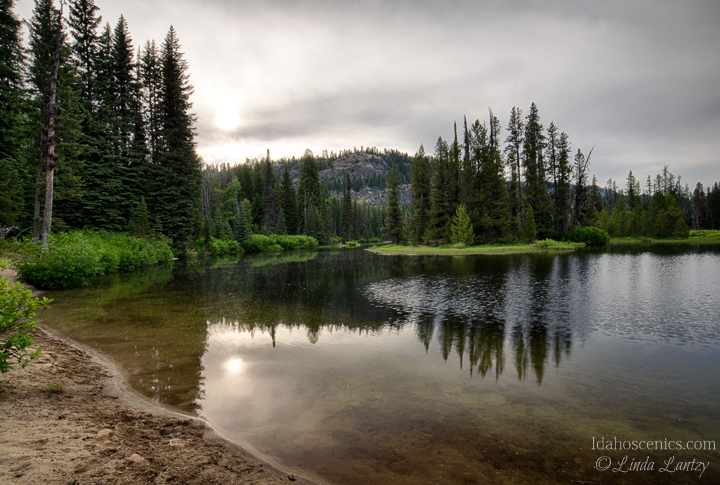 At Ponderosa State Park, I took in the view over Payette Lake from the scenic drive and enjoyed the evening reflections in the North Fork of the Payette. You can browse my State Parks Gallery here to see the whole collection. Idaho, North, Kingston, Prichard. 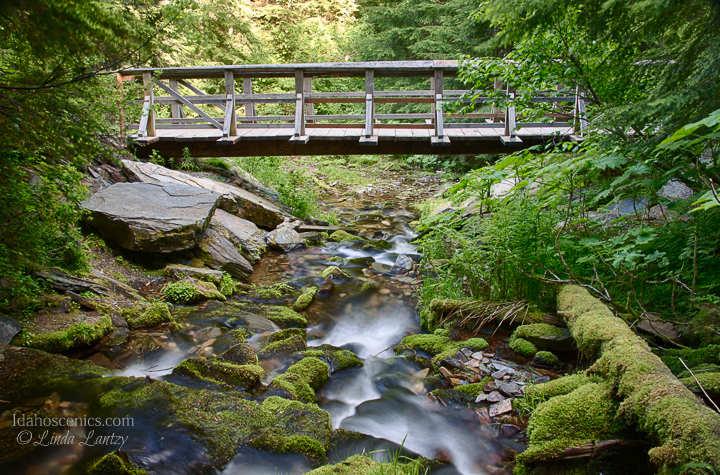 The trail bridge at Fern Falls in late spring. As part of my residency, I’m super excited to be leading a photography workshop on July 11th at Old Mission State Park, where the students will photograph the Cataldo Mission and the Historic skills Fair before we head up the Coeur d’Alene River and visit areas like Fern Falls and The Settlers Grove of Ancient Cedars. I’ll be teaching how to show motion in water photography and choosing a good shutter speed for various types of action photography. The class is filling fast, but if you’re interested you can read more and register here. I’ve got several new products in the works. 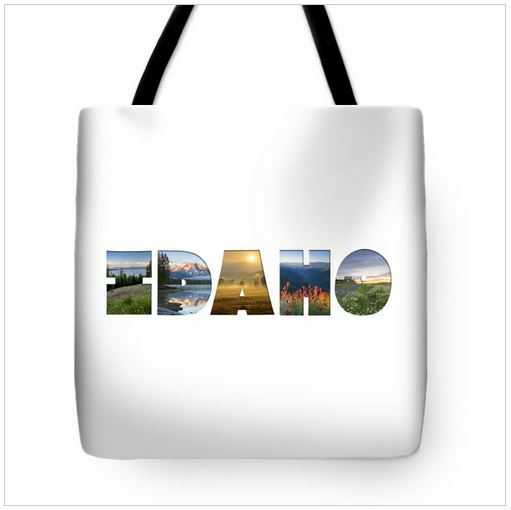 All of my images are now available on 3 sizes and many colors of tote bags. 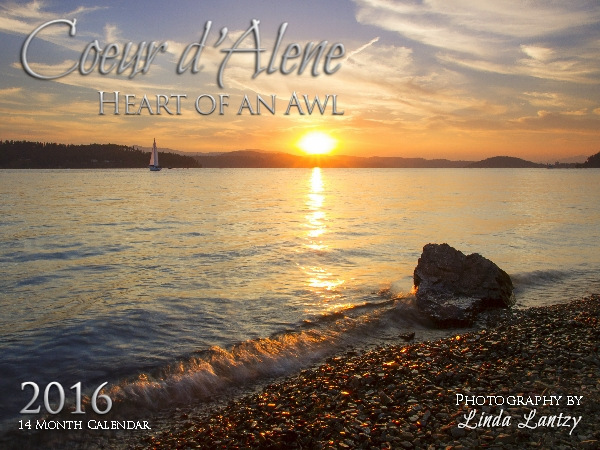 This year I have produced a 2016 calendar just for my hometown of Coeur d’Alene in addition to my Idaho calendar. It is available at several retailers around town, including Angel Gallery, Sunflower, Marketplace gifts and Hastings and via my website. Next up…A trip to Eastern Idaho. enjoy your summer and keep cool! Previous PostHappy Spring!Next PostAnd then it was Autumn….